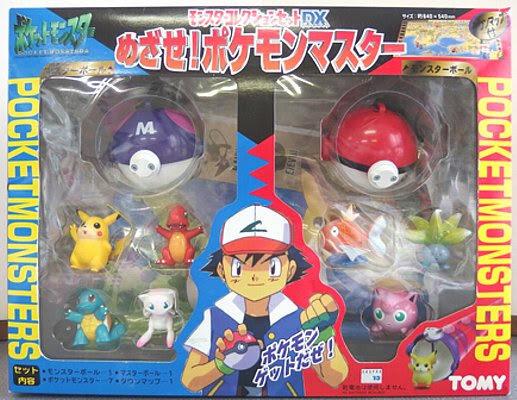 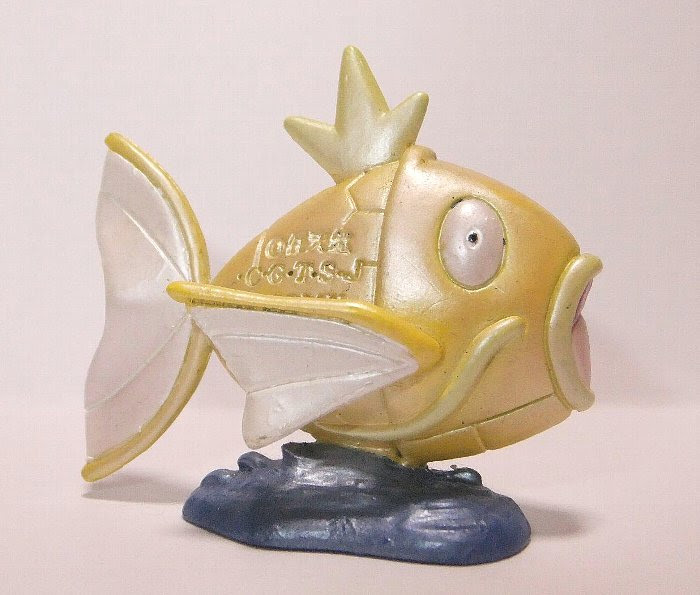 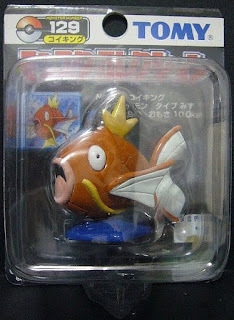 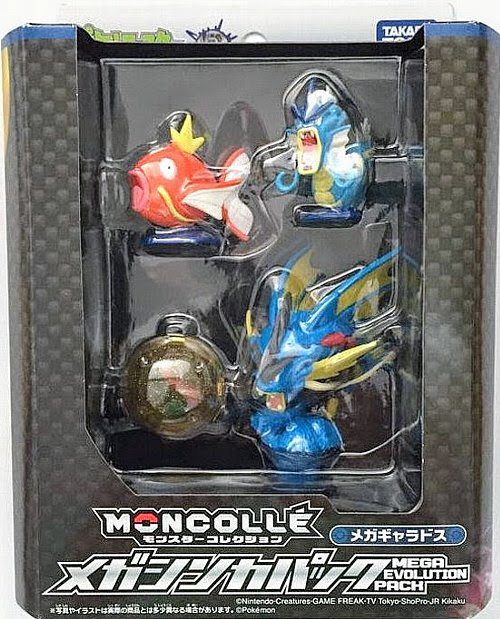 Pokemon figure Tomy Monster Collection DX Set Magikarp コイキング. Oddish and Magikarp had NOT been released in Monster Collection series. 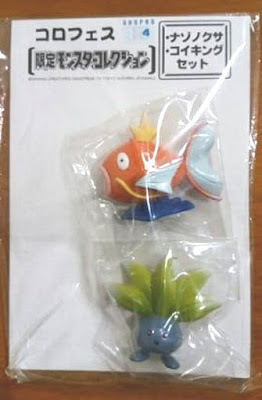 Oddish & Magikarp set in 1997 World Hobby Fair/ in CoroCoro Festa. Shiny gold version in 2005 Pokemon Daisuki Club lottery. 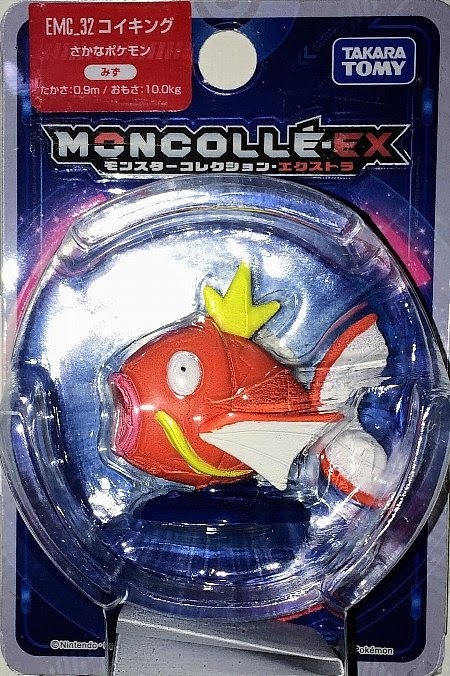 Same pose with matte paint in MONCOLLE Mega Evolution Pack. Same pose with matte paint in MONCOLLE EX EMC series. Magikarp in YJ Auction ?